In these days of mergers, acquisitions, big business and franchising, there’s a false perception among many homeowners that hiring a “big-name” real estate company is better. Well, just being big didn’t save the dinosaurs. And the same is true in real estate. Reality check: Being smaller and being independent can be better. Combining targeted marketing, attention to detail, persistent follow-up, responsiveness, negotiating skill, and good old-fashioned salesmanship, I sell more houses in a month than most agents sell all year long. I’ll release the listing agreement. FACT: Half of the sellers I work with have a contract within 30 days. That’s why I put in writing that my sellers may cancel after 30 days — no questions asked — if they’re unhappy with my service. FACT: The number of houses I’ve sold over the years consistently ranks me in the top 10% in St. Louis. That means I sell more houses in an average year than many agents sell in their careers. FACT: I sell my listings faster. Historically, my listings receive a contract an average of 10 days faster than my competitors' (for comparable properties). HOW? Well certainly there are methods shared by many Realtors®, and I do use those. But I also deploy some proprietary techniques — a few "secret weapons" available to my customers. It’s axiomatic that the faster we deliver buyers to a property, the better we serve the needs of sellers as well. And wouldn’t you rather list your home with an agent that provides superior service to buyers? You should ask other agents if they subscribe to the Buyer Showing Team, but you should only list with one who does — like me! I take a unique approach to commissions, too. I charge sellers less and pay fellow Realtors more. Think about it: Agents who sell my listings to their buyers make more money. There are many savvy agents who literally search through my listings first. You may wonder how I can charge less and still make a profit. It’s really a simple concept: I operate efficiently and maintain a low overhead. My offices are surely business-like and presentable, but they’re not luxurious. My having ‘Taj Mahal’ offices won’t sell your home. I don’t pay high rent and I don’t pay for lavish furnishings. I do high-volume business through focused marketing. I view and approach my job as selling my listings. Lots of them. So my business was designed from the ground up to generate interest and excitement in the homes I list — and get them sold. I don’t waste time with hyperbole. Many sellers ask, “What would you pay for my home?” I don’t just tell them what I think they may want to hear. I tell them the truth: What I might pay for your home doesn’t matter. I’m not buying your home. What matters is what your home will bring on the market. So rather than wasting time with an inflated price to feed inflated egos — while the property languishes and becomes stale — I help sellers create an intelligent pricing strategy that captures the true market value faster. This usually proves so effective that sellers are amazed at how often we generate multiple, competing offers. Doing business this way, everyone wins. Fellow Realtors® who bring buyers get paid more. Sellers get the services they need — including some they didn’t expect. They sell faster, they save money and they get the most they can from their property. And yes, I make a reasonable profit, too. 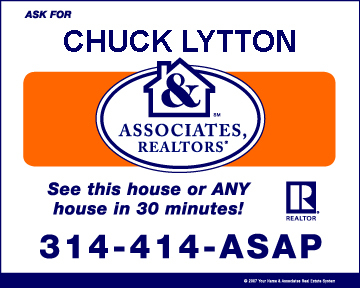 So if you’re ready to sell your home, call me at (888) 432-SOLD (7653) ext 81. You’ll learn my no-nonsense, “tell-it-like-it-is” approach. You’ll learn why so many sellers hire me instead of big-name franchises. It's a smart decision. I sell lots of homes. And I sell them fast.